At least one person has been killed and several other injured by heavy snowfall that hit central China this week. The South China Morning Post reports that one person was confirmed dead and 20 injured after snow caused tree branches and roofs to collapse in Hefei, Anhui Province this morning. Images of a police officer in the city standing atop a bus and holding up a cable to let cars pass by went viral. The blizzards were expected to hit parts of Shanxi, Shaanxi, Henan, Shandong, Anhui and Jiangsu on Wednesday and Thursday (through the evening). The weather has also forced schools, major roads and transportation hubs to close as some areas have been forecasted to receive up to 30 centimeters of snow. 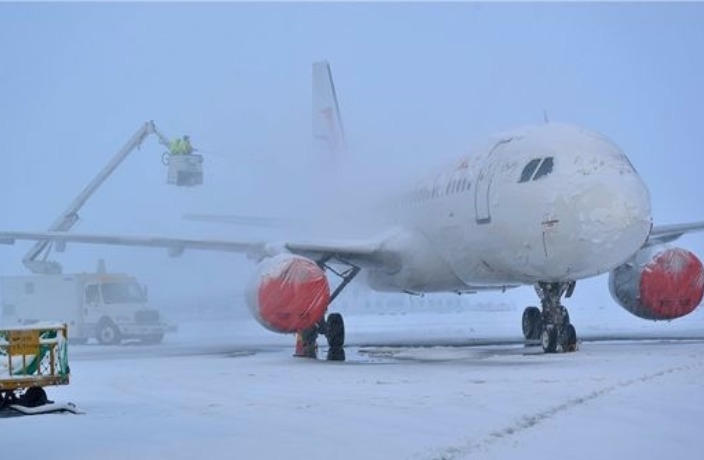 At least three airports (Hefei Xinqiao International Airport and Fuyang Xiguan Airport in Anhui, and Jining Qufu Airport in Shandong) suspended operations today because of the snow. Nine other airports — including those in Beijing, Xi'an, Hefei, Zhengzhou and Nanjing — are experiencing serious delays as runways have been shut down. The snow also caused massive cancellations across China's high-speed train network, with at least 30 high-speed trains passing through Xi'an canceled as the Shaanxi capital was walloped by the blizzards. Several trains from Shanghai en route to northern cities like Beijing and Tianjin were also canceled. Highways were affected too, with road closures taking place in Jiangxi, Anhui, Jiangsu, Henan and Ningxia. In Jiangsu and Anhui, authorities alerted schools to be on standby to cancel classes if necessary through Friday. China's National Meteorological Center has forecast continued rain and snow in central and eastern China throughout the next week. Get ready for the second snowfall of the year. The Kung Fu Komedy podcast is back! This week they discuss Shanghai's recent snow day and the release of 'Crazy Rich Asians' in China. Bundle up! It's about to get really cold in Shanghai.